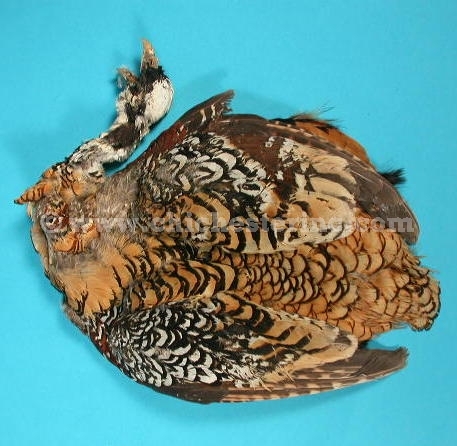 See below for more details on the various pheasant skins for sale. These pheasant skins are ideal for use in the craft market or fly-fishing market. They come in assorted colors, shown below. The difference between the first quality (#1) skins and the second quality (#2) skins is that the second quality have no heads or necks. Neither grade has tails. They weigh approximately 2.3 oz. per skin. 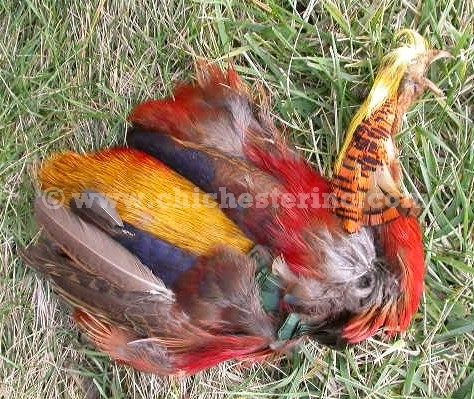 Please see our full listing of Feathers for related products. The #1 Ringneck Pheasants consist of a whole skin with a crest and no tail. Each skin boasts an array of natural colors, both bright and neutral feathers. (Phasianus colchicus). The #1 Golden Pheasants consist of a whole skin with a crest and no tail. Each skin has many different natural, brightly colored feathers. (Chrysolophus pictus). 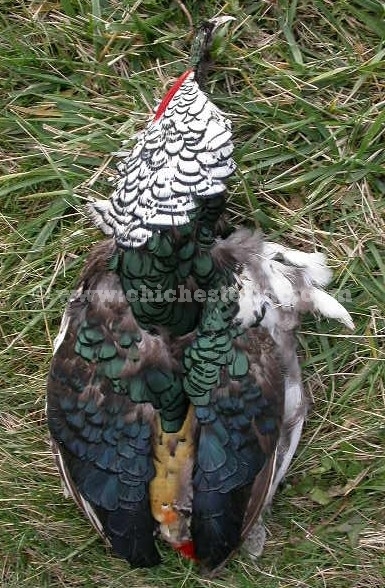 The #1 Lady Amherst Pheasants consist of a whole skin with a crest and no tail. Each skin boasts an array of bright natural colors. (Chrysolophus amherstiae). The #1 Reeves/Venery Pheasants are top quality whole skins with a crest and no tail. They have a nice array of feathers in various shades of brown. (Syrmaticus reveesi). The #1 Silver Pheasants are top quality whole skins with a crest and no tail. (Lophura nycthemera). Note: Dyed skins often available. Call for details. 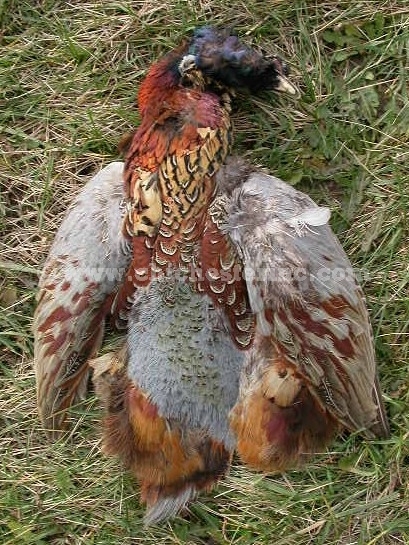 The #2 Lady Amherst Pheasants consist of a whole skin with no head, neck, or tail. Each skin boasts an array of bright natural colors. (Chrysolophus amherstiae).